Cryptum Board Games: the Cryptum ICO main goal is funding a board games publishing studio. We will share up to 40% of the profits with token owners by creating a pool that can be claimed based on the number of tokens owned (a percentage from each round). The shared profits are an optional feature accessible via claims. We already started developing three of the games – you can check our Blog and the Info pages in the top menu for more information. Cryptumcoin ICO: Cryptumcoin is an Equihash-based mineable cryptocurrency we are launching in December 2017. We will distribute up to over 2.5 million CRYC among the ICO participants depending on the total number of Cryptum Tokens sold. Tiers for free games access – with proof-of-ownership tiered access accessible if you own 25, 35, 65 or 100+ CRTM. Every tier gives you the optional right to claim free access to one, more or even all the games we ever publish. You can participate in the Stage II of the Cryptum ICO by purchasing CRTM tokens using BTC, ETH, ETC, BCH, LTC, DASH or ZEC. Note that any amounts lower than the shown in table will not receive CRTM and will not be refunded! After raising about $136 000 during Stage I, we realized we won’t make it to Mining project level of sales even in Stage II. Somewhere during Stage I and we received a sound advice from ICO Rating regarding the project – to devote on the board games. At the end, we made the decision to focus on the two aspects of the ICO that are most important to us: the board games project and the Cryptumcoin currency we are launching in December. That means any side projects such as icodbase and the mining project are being cancelled, allowing us to concentrate our efforts to the board games and the Cryptumcoin. 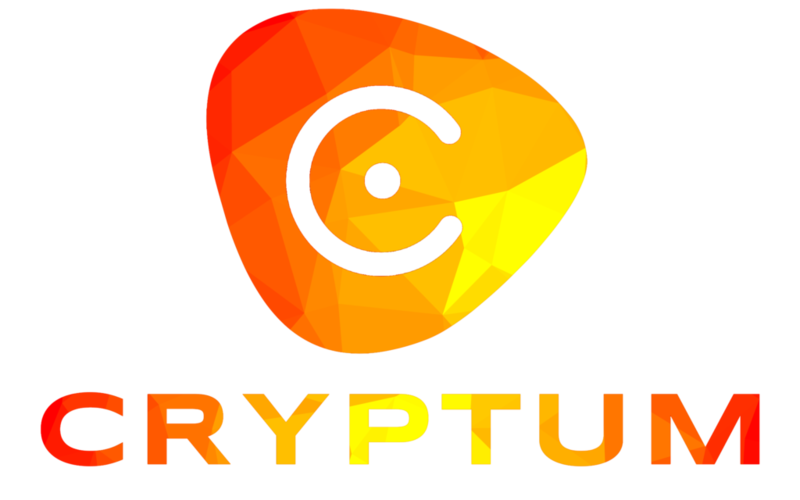 It also leads to a very important change regarding the total amount of CRTM, as we no longer need to sell so many tokens to get the funding we want – the maximum supply of Cryptum Tokens changes from 1.102 million to a bit over 156 000, with 129 520 available for sale during Stage II of the Cryptum ICO. The Stage II will continue to November 17 or until the tokens are sold, whichever comes first. Initially we announced the prices will be 25% over the Stage I Sale amounts, but with the latest Bitcoin rate changes, we decided on a new approach. Instead of the ETH price, we are now using the BTC price as a base (and it remains the same 0.00135 BTC/CRTM). All prices include CRTM and CRYC transfer fees. The minimum participation amount is 25 CRTM (which is the same as Tier 1, so you will be able to get a bonus free crypto-mining board game when it’s released, and a share of the games profits each time we release a game on the market). What do you achieve with these changes? For once, we will be working harder on the games and the CRYC currency development, and we will not split the main funding to make a partial investment in a mining farm. This lowers the basic needs of the project to much more manageable levels. The Cryptum Board Games project does not scale so well over $800 000, forcing us to seek and publish games that we may not want to. While generally this is a good idea, at around 150 000 CRTM we would have lowered the games funding for building the farm, meaning we would have needed higher ICO total funding for the same board games funding. It also means now we will have the same profits from the games to share among much less potential token owners, and we can distribute more meaningful amounts of Cryptumcoin among the token owners while still keeping the coin pre-mine low. The Cryptumcoin is being developed as a miner- and trade-centric currency together with Crypto Mining Blog. We want use it in our future games store and as advertisement payment currency in websites we are developing. In order to promote the change, we will be distributing much higher amounts of Cryptumcoins during their launch in December. Launching a currency that has both a fair launch targeted at miners and a large pre-mine, which are somehow mutually exclusive, is not easy, but we found a way to balance between the ICO supply and the coin effective supply (the supply in the most active mining and trade periods we call “ages”, see the table below) and the max supply. We are keeping the total pre-mine to between 0.42% and 2.64% of the max supply of Cryptumcoins (depending on final ICO sales) and between 2.22% and 12.70% of the ages of peak interest supply.